This is a very old recipe. Believe it or not, it has been around for over 50 years. It goes together quickly and makes a great one pot meal. It’s a good way to use leftover mashed potatoes. 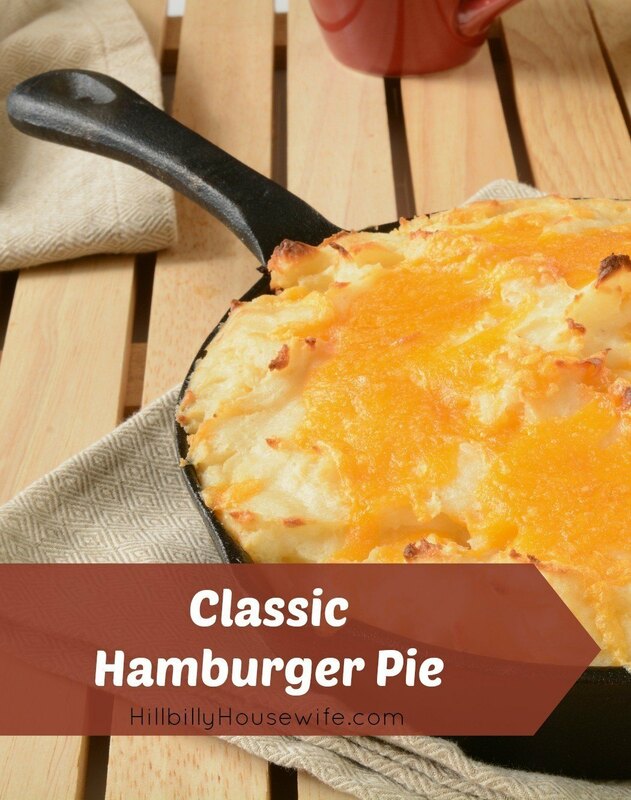 It’s similar to shepherds pie, but we tend to like this version better. If you haven’t tried savory pies yet, give this recipe a try. First you fry your hamburger in an iron skillet, adding the onion, and smashing the meat into small pieces with a fork. When it is cooked clear through, with not a speck of pink remaining, drain off the fat. While you are cooking the hamburger, you can prepare the instant potatoes too. If your skillet is oven proof, then do the next few steps right in it. 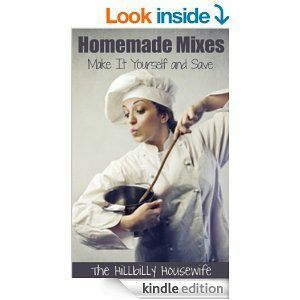 Other wise use a 2 quart casserole dish for the mixing and baking. I use a large cast iron skillet and it works out beautifully. Dump the green beans and tomato soup in with the hamburger. Stir it up some, to distribute everything evenly. Shake the pan or casserole to level everything out nicely. Drop the potatoes onto the casserole top, in small mounds. Sprinkle the top with a little cheese, if desired. Bake the casserole at 350F for about 25 minutes. This will feed 4 people if it is served with a sturdy bread like muffins or biscuits and another vegetable, preferably a salad. Add jello, or fruit for dessert, and the family will leave the table full and happy. When I feed a larger crowd, I double this recipe, and use a large rectangular 9″ by 13″ pan to bake it in.